We are a leading Manufacturer of pigment emulsion from New Delhi, India. 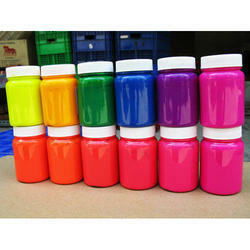 We are providing the best quality Pigment Emulsion to our customers. Our offered Pigment Emulsion is used in textile industry for dyeing clothes. This emulsion is processed making use of quality assured chemical compounds and advanced technology under the direction of adept professionals as per the predefined industry standards.